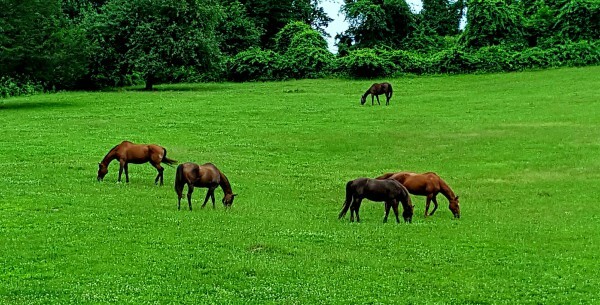 Our 28 acres of rolling pastures are connected and open to allow our mixed herd to move between fields at their leisure (barring any extreme weather conditions when pastures may be divided for the safety of the horses). Pastures include multiple automatic waterers, run-in sheds, access to Winter’s Run river, and many acres of grass. 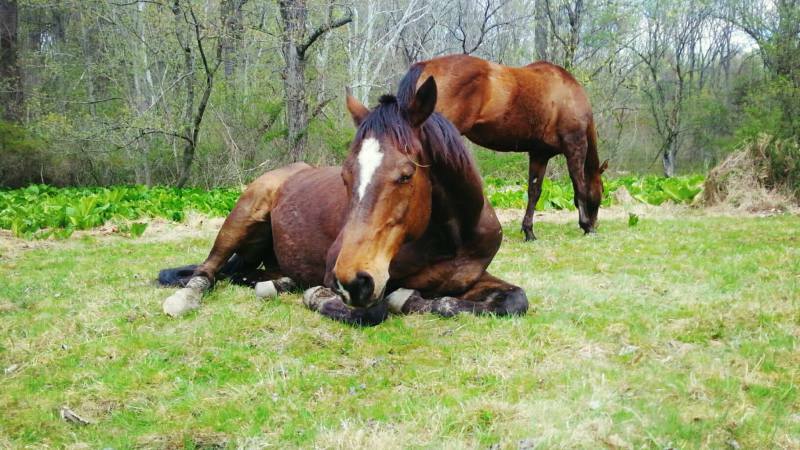 Our pastures are regularly mowed, fencing is checked daily, and the run-ins are kept clean and safe for your horse. Horses are brought in twice daily to feed and check for injuries/illness. Our staff will administer medication, apply/change bandages, and consult with our veterinarian (or yours), as needed. Whether field or stall boarded, at Capall Milis Stables your horse will receive daily attention from our knowledgeable staff. The owner lives on the premises and manages all daily duties on the farm. Stall-boarded horses enjoy turn-out with our herd for about 12 hours/day, weather permitting. Our 12x10 matted box stalls are cleaned daily and cushioned with pelleted bedding. Horses have constant access to fresh water and a slow-feed haynet filled with quality hay. Our field board features 24-hour turn-out on 28 acres, with access to shelter, automatic waterers, twice-daily feedings in the barn, and daily checks for injury or illness. High-quality hay is provided in the winter. Contact us today - Space is limited! 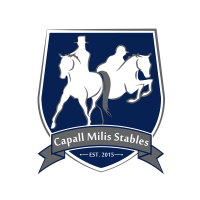 Capall Milis Stables offers a customized feeding program for each individual horse. We know that one type of feed does not work for all horses, so we work closely with their vet and owner to determine which feed will work best for the horse, based on the horse’s nutritional needs, dietary restrictions, work level, and body weight.